Before looking for your first house, it is a good idea to gain a pre-approved loan limit from your bank. This is the amount the bank will be willing to lend you. This will assist you in setting your budget and ensure that you are looking for properties within your price range. At this point, you should already have savings for a deposit. A mortgage broker can also assist you with this process. Ensure that if you do engage a mortgage broker that they disclose their commission and fee structure to you upfront. Most apartment and townhouse complexes have a quarterly body corporate fee for maintaining the communal areas/facilities. You will need to pay rates. Rates are a Local Government tax levied on property owners to provide funding for a wide range of municipal and other essential services. It is important to check the inclusions list on the property you are viewing to ensure that you will not be required to pay extra for basic inclusions such as carpet, landscaping and fencing. Unless you intend representing yourself and have experience doing your own conveyance, you will need to employ a legal representative (advisable). Your representative will check that the contract is in your best interest. They will also negotiate terms for you and conduct the conveyance to ensure that the title is free of encumbrances. Shop around and ask for a quote on conveyancing and make sure you take your solicitor’s details with you when you pay the deposit on your home. The Sales Consultant will require these details, including an address, when you pay your initial holding deposit. Mirvac will normally require a holding deposit of between $1,000 and $5,000 to secure the property from other potential purchasers and to allow you time to consider your position prior to exchanging signed copies of the contracts. If you do not choose to proceed to exchange, this “holding deposit” will be fully or partially refunded (depending on which state you are buying in - please check with the sales consultant). Exchanging signed copies of the contract will clinch the deal subject to completion of contract conditions. The buyer is usually given a cooling off period following exchange. This period varies from state to state. A further deposit (usually 10% of the purchase price less any holding deposit) is payable on exchange and will be forfeited if you do not ultimately settle on the contract. Both deposit sums will be deducted from the final purchase price which is due at settlement. The contract and attached documents should include the price, inclusions, zoning restrictions and easements. The contract is drawn in duplicate and the seller signs one copy and the buyer signs another. These copies are then “exchanged” so that each party holds a copy signed by the other party. This process is conducted between your solicitor and the vendor’s solicitor. Your solicitor will keep you informed of the progress of exchange and will contact you to sign the contractual documents and to arrange payment of the full deposit. 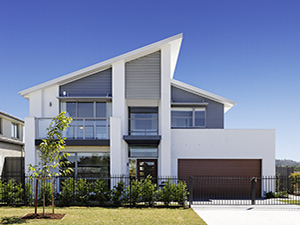 If you are buying a house and land package with Mirvac, a deposit is required on exchange with further payments falling due at certain stages throughout construction. These will be set out in your contract. If you are buying ‘off the plan’ it is good to use the time from deposit to settlement to save as much as possible to reduce the overall amount you will be required to borrow from your lender at settlement. Throughout the construction phase, you can contact your Customer Relations Consultant to check on the progress of your home but unfortunately, because of Work, Health and Safety regulations you will not be able to visit the site of your new home during construction. We will contact you when your home is nearing completion to arrange a time for you to perform the pre-settlement viewing. Stamp Duty varies from state to state and is calculated as a percentage of the purchase price or the market value of the property, whichever is the greater. Duty applies to the GST inclusive price of a new property. Stamp Duty exemptions or Stamp Duty concessions vary from state to state. Speak with both your legal and financial advisors about stamp duty and what is payable. Congratulations, you are now the proud owner of your new home! It is important to connect electricity, gas and water services at least five days prior to occupancy. You should also contact your insurance provider to arrange home and contents insurance as once settlement has been completed, you will be liable for any loss or damage to the property. You should also carefully read your Owners’ Manual and any other owner's information provided on settlement which has important information on how to use appliances, maintain the property etc.